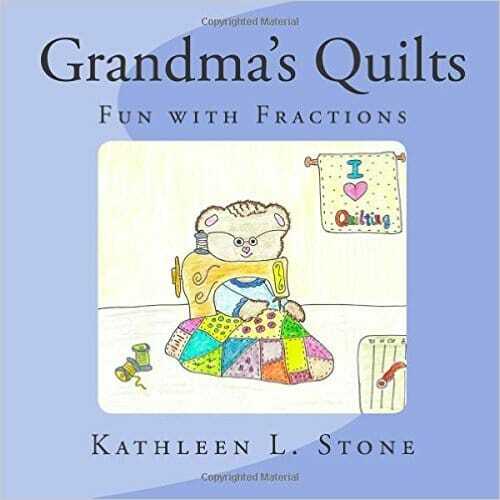 Kathleen L. Stone, a National Board Certified educator, quilter, author, and grandmother, combines all of her skills in this delightful book to help children gain a better understanding of fractions. Her clever combination of photographs and whimsical illustrations will draw children into the story as they identify the fractions shown in each block and quilt. 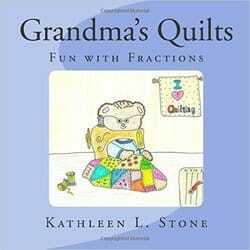 Through a variety of actual quilt blocks and her rhythmic text, children will identify halves, thirds, and quarters.